Heelllooooooo and good afternoon to you. Where did this morning go lol!!! I've been really quiet here for a while I know but with the last of my 2014 retreats fast approaching I've been making planning and making the last of our four projects, ordering kit items and packing everything up as we go. Only eight more sleeps to go and we'll all be together again. I'm so loping forward to it. 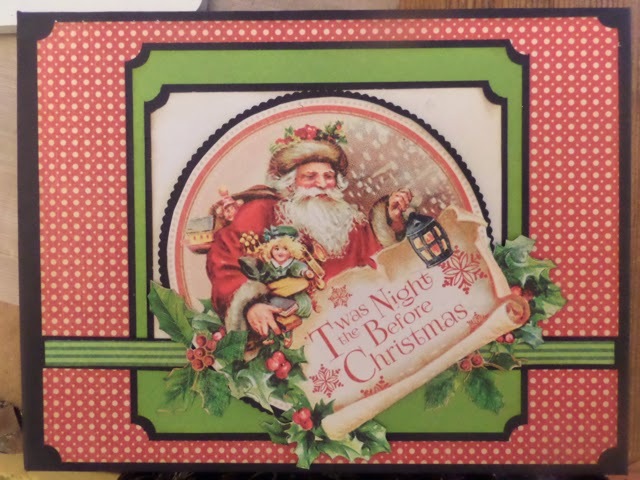 We have the beginnings of my latest full sized 'Twas the Night Before Christmas' Album. More pages to design and cut out, instructions to write and filming to be done before 20th .......... who's panicking lol!!! !I there's an on line workshop to go with it too. This collection has a really fresh feel to it, and the pages are popping as I'm making them. Love it. Yesterday I had a day away from the scissors, jumped in the car and headed up to the Ribble Valley in Lancashire to meet with Barbara, owner of Mytton Folds Hotel and June from Great Western Hotels. We scoped out the first of our Northern residential Crafters Retreats for next year and I'm really excited to be able to share the package with you today. If you're planning to holiday in the UK next year, and fancy a crafting break during your stay, I'd love you to join us. There's a fabulous golf course at the hotel if your other half likes a round or two. There's more info on all the hotel facilities and location below. Location: Mytton Fold Hotel and Golf Complex,, Langho, Lancashire. BB6 8AB. Our shop will be there too. To book click the link here and select the paypal button for the event on the left of the Workshops and Events page of the bog . 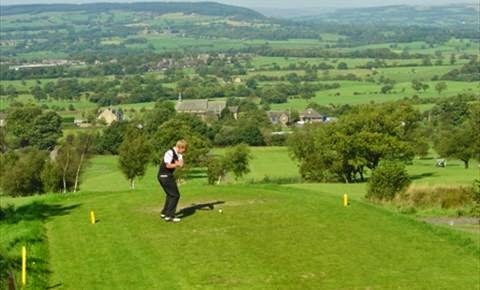 Mytton Fold is an award winning family owned hotel offering a warm and friendly welcome to its guests. It’s also a member of Best Western Hotel Group. Located at the heart of the Ribble Valley the hotel is just a short drive from M6 Junction 31, and within travelling distance from Manchester Airport. 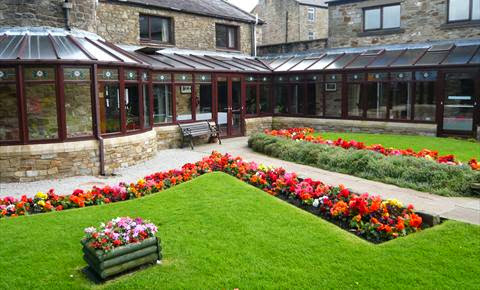 • With a host of places of interest to visit right on the doorstep, the hotel is a great choice for a short break in lovely Lancashire, or as stop off point as part of your holiday to the UK. The Lake District is 60 miles away and Scotland just a little over 3 hours by road. • There is a full 72-par 18 -hole golf course in its grounds, buggies and an all weather route for the golfer who likes to play no matter what the weather. · From the M6 Leave the M6 at Junction 31. Follow A59 sign posted Whalley and Clitheroe for 10 miles. At the second roundabout follow the Whalley sign (minor road). Our gateway is about 500 yards on the right. · From the M65 Leave the M65 at Junction 6 (Blackburn North & Central). Take the ring road marked A59 Clitheroe. Two miles along dual carriageway turn at major junction following A666 to Clitheroe (A59) and Whalley. After three and a half miles at a large roundabout at the A59 junction follow Whalley sign (minor road). Our gateway is about 500 yards on the right. · By Rail: The nearest local station in Langho on the Blackburn to Clitheroe line. Local Trains run every hour. See this site for timetables routes etc www.traveline-northwest.co.uk. The station is approximately 10 minutes walk from the hotel. · By Air: Manchester International airport is 39 miles away taking approximately 45 minutes to reach the hotel by car. Afternoon Clare, This card is gorgeous !! I will be making my Christmas cards with this fabulous collection, thank you for the speedy delivery, I can't wait to have a play. Thursday is my 'clean all' day, I'm just having a coffee break at the moment haha.